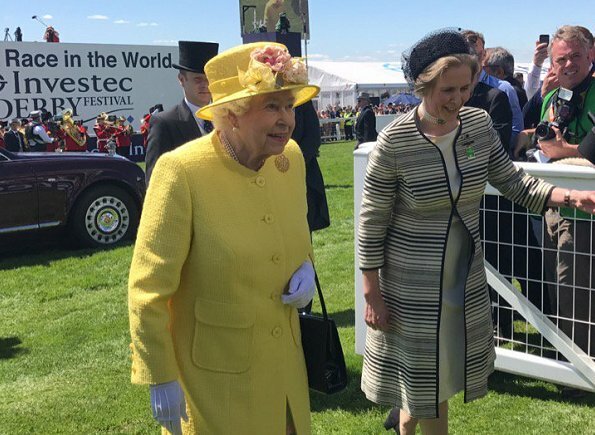 Queen Elizabeth and Princess Alexandra attended Derby Day at the 2017 Investec Derby Festival at Epsom Racecourse on June 3, 2017 in Epsom. 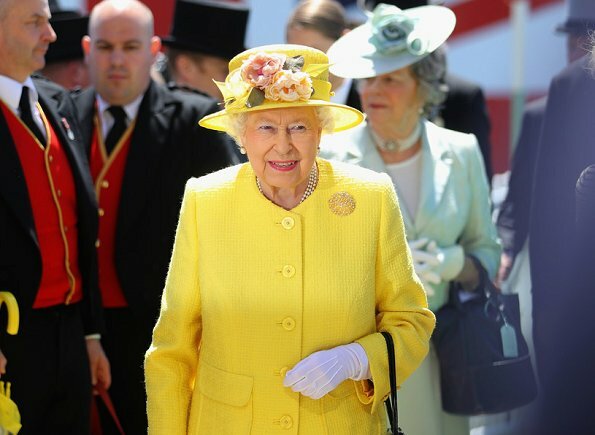 The Epsom Derby takes place annually at Epsom Downs Racecourse as part of the Investec Derby Festival. 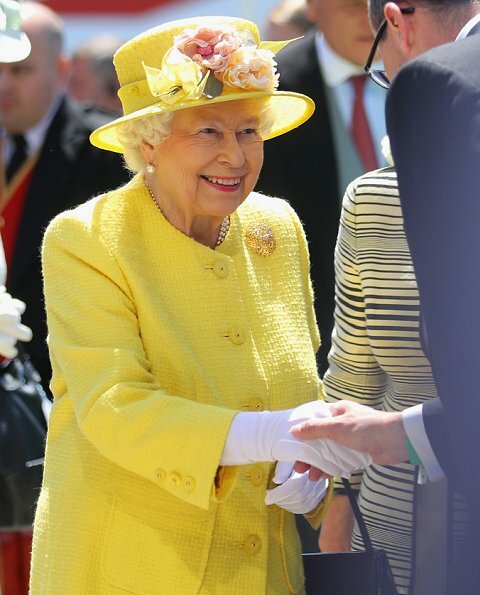 I think the queen's coat, hat, and all of the trimmings are especially lovely today. 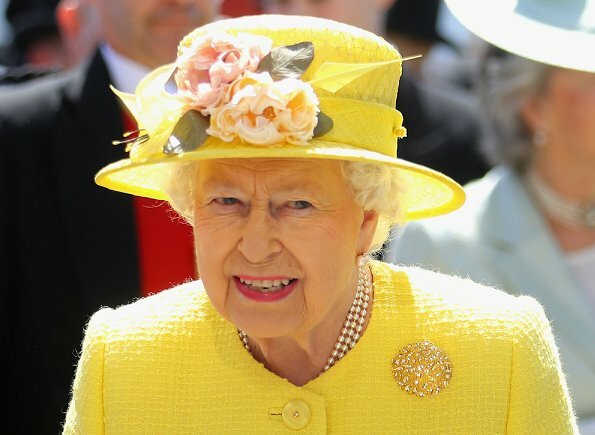 Yellow is a good color for her and the roses on the hat are very soft and luscious colors. Well, that yellow will wake you up in the morning! Not even sure I need coffee. 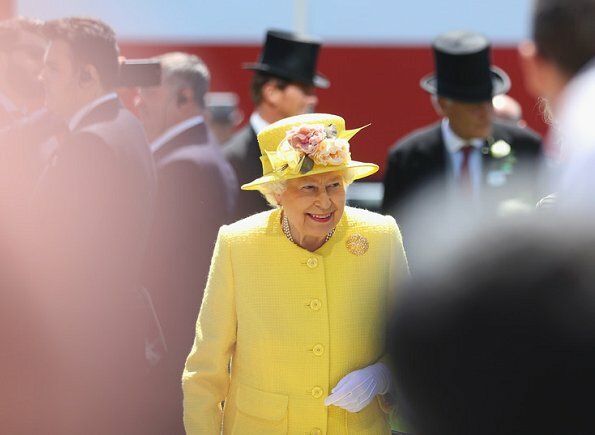 Princess Alexandra was there too - do you have any pictures of her, Hellen Electra, Please? Thank you for Adding Alexandra!!! Two elegant ladies! I like Alexandra's outfit. We don't see her often enough. She's always been one of my favorite 'royals', no scandals in her life. Her daughter Marina, on the other hand, had her share of scandals. That lady has got style! Bright and cheerful for a summer visit. I especially like the flower trim on the hat. How beautiful and fun at the same time!! Such a naturally classy style.... Warms my heart to see her, how tenacious and incredibly dedicated she still is. I hope we'll have her around forever ! She looks just lovely! Ninety one....wow!